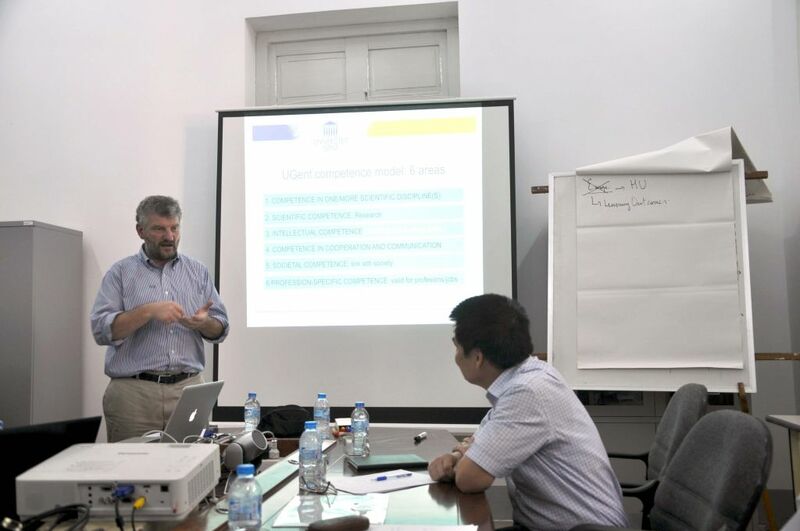 At the workshop, getting experience from GhentUniversity and other universities in Europe, delegates had an open discussion on common learning outcomes at HueUniversity level for bachelor’s and master’s degrees. They talked about the conformity of learning outcomes at affiliated colleges and faculties directly under HueUniversity with HueUniversity’s ones and definition of the “Credit” concept with equivalent values. Moreover, the attendees shared ideas on determination of curriculum building blocks, teaching strategies and evaluation and tried to figure out how to make a difference in training quality at HueUniversity in comparison with other universities. The workshop closed on July 25, 2014.